Checkout Twitter for Our New Releases! Every Friday (4-8pm) and Saturday (3-7pm), we open a variety (6-7) excellent wines for tasting. Sometimes the wines surround a theme; sometimes they are just a nice variety of staff favorites, great deals and recent arrivals. What you won't find is the same old labels that you see all over town from just the biggest producers with the biggest marketing budgets. We hand-select each of the wines to be presented. These tastings are free and casual (come and go as you please). 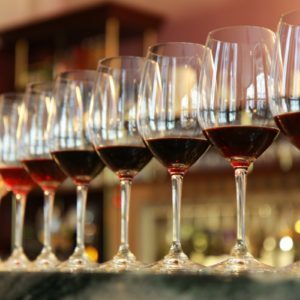 Enjoy a few sips while you browse the shelves or pepper the experts pouring the wine with questions; these events are meant to be fun and informative. The weekly lineups can be found in our newsletter or via our Facebook and Twitter feeds. SUNDAY: Now Open 11am - 6pm!! !